Workshop with workshop presentation and solo performance at ‘Oltre la cornice’ festival on different locations, such as Saint Gothard church, build by Raggio di Luna Orsi, in Asolo, Italy. 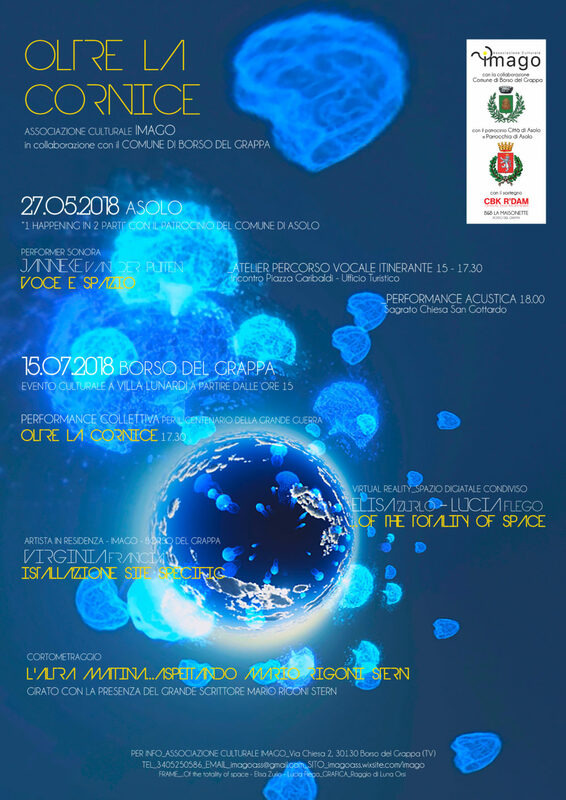 Organized by Associazione Culturale IMAGO in collaboration with Comune Di Borso del Grappa. Download flyer here. Workshop ‘Aletier percorso vocale itinerante’: 15 – 17h30. Incontro Piazza Caribaldi, Ufficio Turistico. Workshop presentation and solo performance: 18h00. Van der Putten’s travel to Italy is made possible with the support of CBK Rotterdam (Centre for Visual Arts Rotterdam).